I have a house that is over 100 years old, and in the past got a load of cedar channel siding that was reclaimed from a similar house. Many of the pieces were only 1-2 feet long, so not very useful for repairs, but very useful for model bridge building (and other scale lumber use) because it is all old-growth cedar as shown in Photo 1. It is very likely that you can find a recycled building material company in your area where you can obtain old cedar or redwood. I did quite a lot of research into reclaiming wood on the internet to learn from pros. There are a few things that need to be done to prepare reclaimed wood for processing. 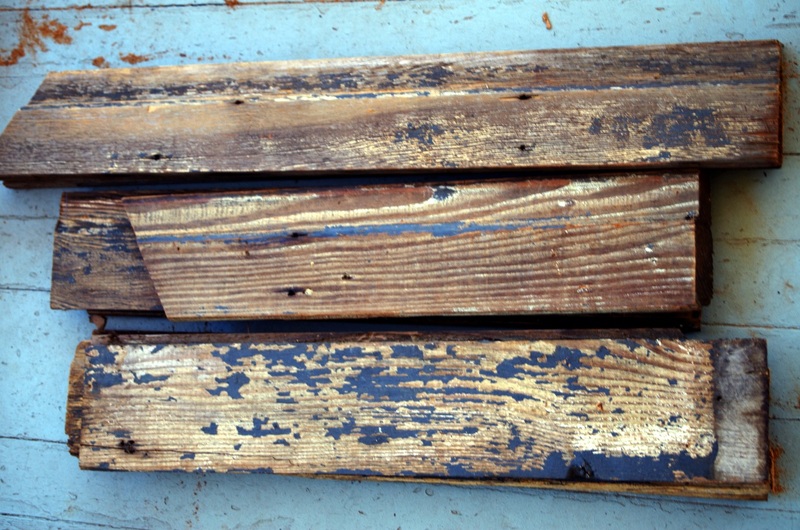 First, reclaimed wood is likely dirty. Hose and brush it off thoroughly to remove dirt and small stones. Next, and most important, remove all nails and screws before cutting or ripping with power tools. A nail will ruin a saw blade and perhaps cause dangerous kick-back. Suitable tools are medium hammer, pry bar or pliers. If you can’t pull a nail because of the tight bond with the wood, you can drill right next to the nail with a small bit to relieve some of the pressure holding it in place. Use an old or cheap bit, as it will get dulled by contact with the nails. Use a sander to remove irregularities and smooth the surfaces for easier handling on the saw. Remaining nails may show up after sanding, as they will perhaps be shiny, but don’t count on that. Old, rusty square (iron) nails are not shiny. 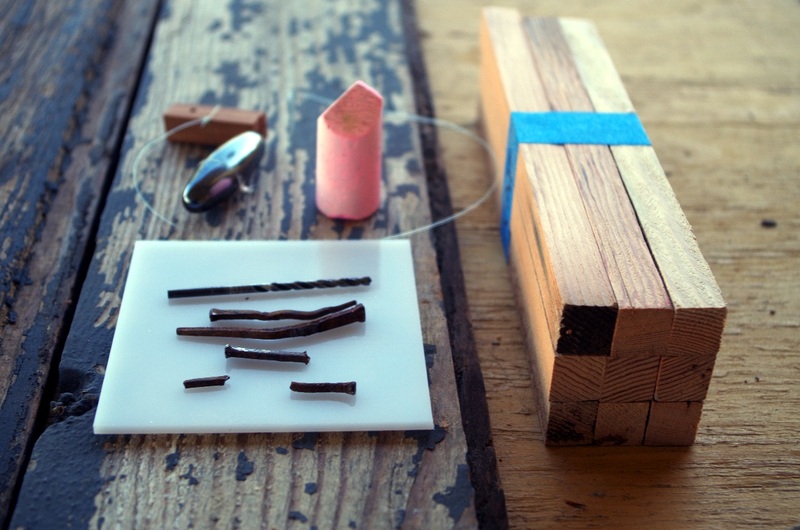 Completely hidden nails can be located using a rare-earth magnet suspended with fine string or fishing line as shown in Photo 2. This can be passed closely over the wood surface, and will be strongly attracted to any remaining iron or steel. Mark the location with chalk so you can easily find it later. The magnet allowed me to find a ½” piece of square nail that was completely inside the board – no head and nothing visible on either side. The severe weathering of the siding only extends a little ways in from the ends in most cases, and a fraction of an inch in depth. Note in the photo how tight the grain is, and how nice the cedar coloring still is even after 100 years except where rust has discolored the wood. To prepare the wood for ripping, I took a small amount off the edges of each piece to provide a straight edge. If both edges are too uneven to get a good rip cut, temporarily nail a straight board slightly overhanging the ragged edge to run against the rip fence. I finish the ripped wood using 60-grit sandpaper in a palm sander to smooth the sides and get to correct finished size. Yup, that is how its done. I have reclaimed a decent amount of wood that way. If detectors weren't so expensive, I would have done that. I've recycled about 50 boards, and I missed one nail piece. Note: then I just found (Googled) that Harbor Freight sells one for $17. Cen-Tech Metal Detector I will definitely get one of those, as I still have a bunch of wood left to cut up, and many bridges to build! Best part of recycling old lumber like that is hitting the nails that you didn't catch. What's great about a saw "the sparks will alert you" causing an instant decision making session of whether to continue to push it thru or stop. I recently got about 250 feet of redwood 1x4 T&G siding that I will be processing next. I will likely cut into dimensional lumber to build a model of the Colorado and Southern Clear Creek truss bridge. I love reclaimed wood over new for a lot of things. I ended up with some rough cut Douglas fir 2X4s that once cut down and sanded just popped with detail in the grain in a wood not know for grain. The way the lights and darks separated just can't be duplicated. You can see it in your pile of cedar. I made a picture frame a few months back, a very simple thing and sanded it down just enough to take away the splinters and man it looked awesome. Even old nail holes look good as they stain and turn black. And the old nails really sparkle when I come across them with the table saw blade.